Today the Royal Commissioner handed down the final report into Misconduct in the Banking, Superannuation and Financial Services Industry. Simultaneously, the Government handed down its response. There are a number of recommendations which have been accepted and that will affect the businesses of franchised new car Dealers. The government has decided to support the Royal Commission’s recommendation to remove the point-of-sale exemption for retail dealers providing finance, including new car Dealers. 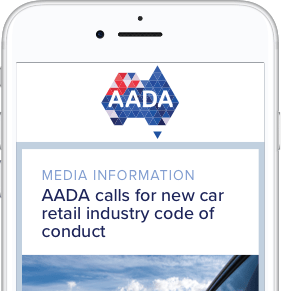 The AADA will work to ascertain the impact this will have on the wider membership and will be reaching out to members in the coming days to gauge the number of members which currently operate with Australian Credit Licences. The Government will also task Treasury with developing a deferred sales model for the sale of add-on insurance products. This will build on work already underway by ASIC and may present AADA with an opportunity to positively influence the nature of a deferred sales model, including the provision of an informed consumer waiver. The Government has agreed to empower ASIC to cap commissions that may be paid to vehicle Dealers in relation to the sale of add on insurance products. The capping of commissions has been in place informally for some time due to the practice by insurers. AADA will work with ASIC to achieve the best possible outcome in this regard. Furthermore, there will be a review on commissions for general insurance and consumer credit insurance to test whether the exemption to the ban on conflicted remuneration remains justified. AADA will participate in this review. The AADA is concerned with the lack of consultation on the response to these recommendations and will express this view to the Government. We will work with Government and the regulators to ensure that their response to the recommendations are implemented responsibly, and in a manner that limits the damage to our industry and our customers.